As we say in America, the only way to really see the country is by car, on the open road. The same thing holds true overseas. If you want to really get to know another country or continent, the experience of renting a car and taking to the streets will be breathtaking, awe-inspiring, and unforgettable. We asked tried and trusted travelers from all over for their top recommendations on the best countries for road trips. One of the best countries for a road trip is Spain. Featuring small villages, celebrations, nature, cultural heritage sites, mountains, and beaches, Spain has it all, with the sun shining all year long and the roads in perfect condition. In Spain, one of my favorite road trip experiences was on the Island of Lanzarote, in the Canary Islands. The island is a series of volcanoes, without vegetation, offering a very unusual scenic view, which completely changes from one end of the island to the other. While driving, you see the horizon, with colorful mountains in the background in an eternal blue sky. Billboard and other forms of advertising are totally forbidden on the island, so you really can enjoy much more of the view without being disturbed. Roads also look barely new and, which are very comfortable to drive, and gasoline is very cheap thanks to tax exemption. Just a wonderful driving experience! What makes Spain a road trip friendly country? It’s pretty well connected by road, and the infrastructure is pretty well maintained, roads have clear indications and GPS works around the clock in mostly the whole Spanish territory. Moreover, Spaniards are friendly people and are always ready to give a hand with a big smile when needed. Why is it better to see on the road versus by train or other forms of travel? We are all familiar with the images of El Quijote and Sancho Panza riding through the fields with the Molinos on the back. Well, that's pretty much traveling by road in Spain. You can admire the beauties of the landscapes, either nature, mountains or the sea in contrast to trips by train where you get to watch trees...and more trees. Though France has an excellent train system, this country is best traversed by car! It’s small enough that any drive won’t take too long, and there are so many small sites to see that may be missed when traveling by train or plane. For example, Riquewihr is classified as one of the most beautiful villages in France. This medieval town is situation in the heart of the Alsation vineyards, which means it is surrounded by forests and mountains that would be perfect to explore by car. I highly recommend road tripping around Sao Miguel island in the Azores (Portugal) if you’re looking for a lesser-visited place to explore by car. Thanks to the combination of paved roads, sweeping curves, dramatic scenery, and little traffic, this is an island that feels as though it was made for driving. The island is compact enough to drive from one end to the other in a single day, so that means you can really take your time and stop off at scenic points along the way. Which you’re going to want to do so every few minutes. 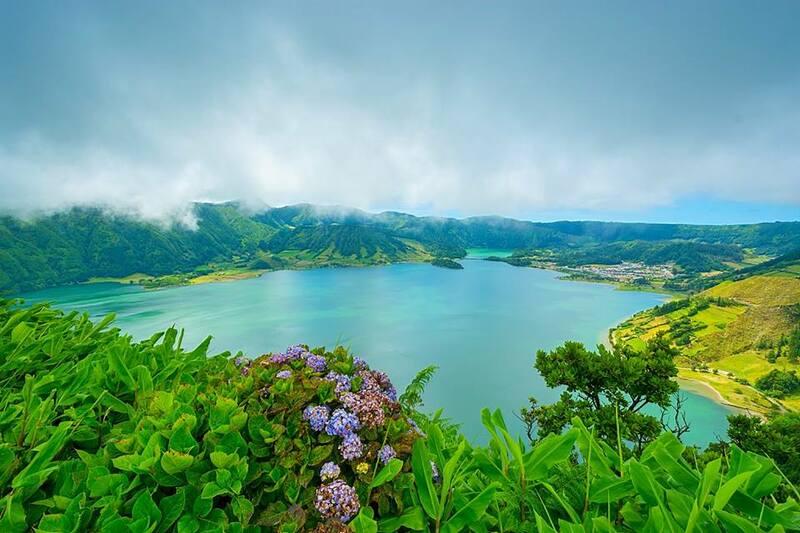 On Sao Miguel, you’ll find incredible viewpoints overlooking lagoons, picturesque villages overlooking the ocean, hot springs and steam bubbling up from the earth, and beautiful black-and-white architecture. On top of that, the island is inexpensive, the food is spectacular, and the locals friendly and welcoming. I can’t recommend it enough! Portugal, with its winding seashore, is no stranger to the comings and goings of ships throughout history. This helps explain Portugal’s own openness to travelers, and to the world itself, making the country an emerging destination for drivers looking to explore and enjoy the open road. There are several reasons to explain it: Proximity to the US; Seven cities will have non-stop flights this summer –and motorcycles are easily rented/available in both Lisbon and Porto; Wide range of roads and landscapes within a short distance; Mild climate all year round. With a pleasant climate and a sun shining all year-round, Portugal offers lovely conditions to be explored by car. The diversity of landscapes makes it possible to, within a few miles, ride from the hills to the sand dunes and beaches, from the city to the countryside, and so on. Set on a peninsula, Portugal has a fast changing geography coupled with very good infrastructure of older roads bypassed by newer highways perfectly suited for drivers – with very little traffic and good pavement. And lots of views. The gateway to any car journey starts in Porto, the second biggest city in the country and an emerging destination for visitors, where traditional and modern are mixed together. Just a few miles away, following the Douro’s wine routes, travel green valleys and impressive mountain landscapes, stopping at regional city centers such as Mirandela, Vila Real, and Bragança. The scenery is magnificent and the roads are some of the most scenic in the world. Within the Centro de Portugal, Aldeias do Xisto, consisting of old recovered schist villages, offer a very special experience taking you through these very special places. The district is currently being rehabilitated and, with its growing Nature Tourism industry linked by a network of vast mountain roads, beautiful landscape and few cars, is an ideal place for sightseeing and riding peacefully a motorbike. Along the coast, you’ll be able to ride around memorable beaches, such as Nazaré,where Gareth McNamara famously surfed one of the biggest waves ever. Heading south, travel to the sunny Algarve, passing through the southern bank of the great river Tejo and the Alentejo, a mystical place of gliding plains, sudden mountains and the largest cork forests in the world. 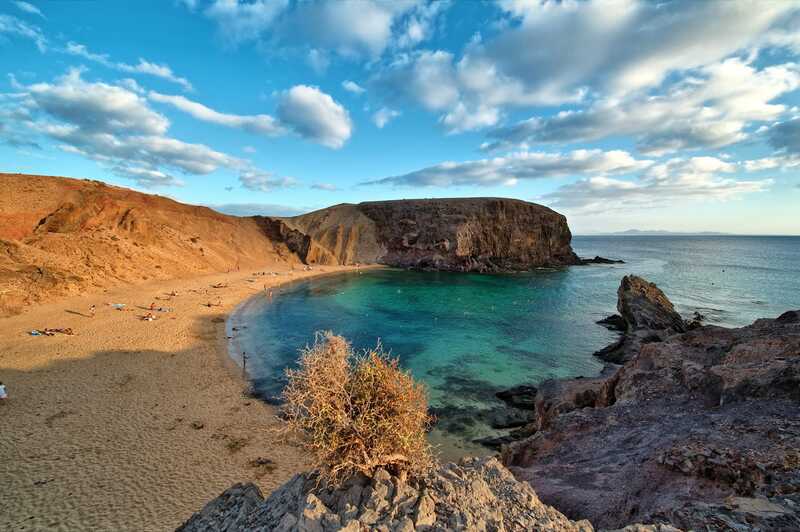 Right along the SW coast – known as Vicentina Coast –, between Santiago do Cacémand Cape St. Vincent, you’ll encounter a big network of trails totaling about 180 miles. The route, developed in partnership between local authorities and businesses, earned the European certification for “Leading Quality Trails-Best of Europe.” You’ll enjoy a quiet ride, coupled with great seafood and plenty of local beers to enjoy while on the route. Every year Portugal hosts an event gathering motorcyclists from all over the world to explore the country’s potentials, be they environmental, heritage or landscape-wise. In its 18th edition, Portugal's Lés-a-Lés will connect Albufeira to Vila Pouca de Aguiar, in a 600 miles journey taking place from June 9th to the 11th. US visitors with a valid driving license can drive in Portugal for a 6 month period. My favorite country for a road trip is Italy. Key advantages of traveling by car are you can get into the little towns and explore areas you wouldn't reach by train or bus and you can take your time exploring and not worrying about a train schedule. If you’re visiting Croatia, plan a road trip where you drive from Dubrovnik, Croatia to Kotor, Montenegro. The dramatic views along Dubrovnik’s coast are stunning as well as Montenegro’s massive dark mountains and glistening lakes. Both of these countries are road trip friendly because there are plenty of viewpoints along the road where you can park your car, get some fresh air and take in the views. This road trip takes roughly two hours (not including the time it takes to cross the border) and you don’t have to worry about getting lost - stay on the main road. 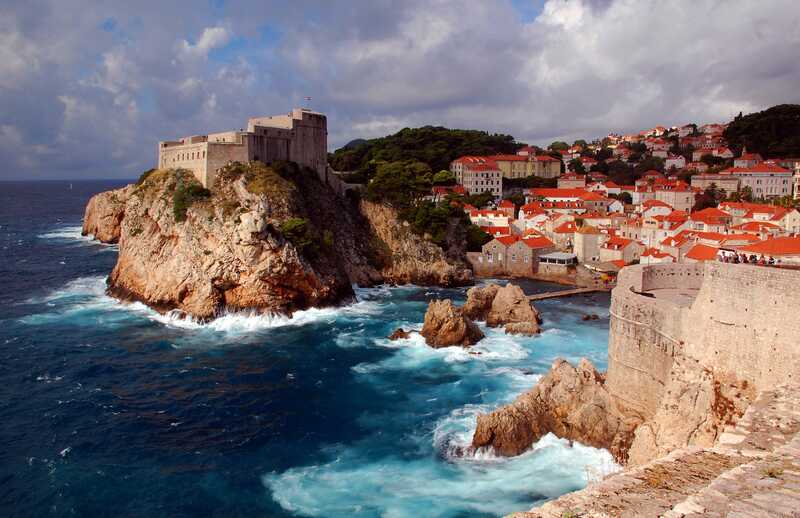 Renting a car in Dubrovnik is affordable and you can even get a broader crossing permit ahead of time which allows you to conveniently visit other surrounding countries like Bosnia or Albania. The 8-hour road trip from Tasch, Switzerland to St. Moritz is among my favorites in Europe. The drive is not for the faint of heart, and for this reason, most travelers take the Glacier Express train. However, the train journey is mostly in valleys. 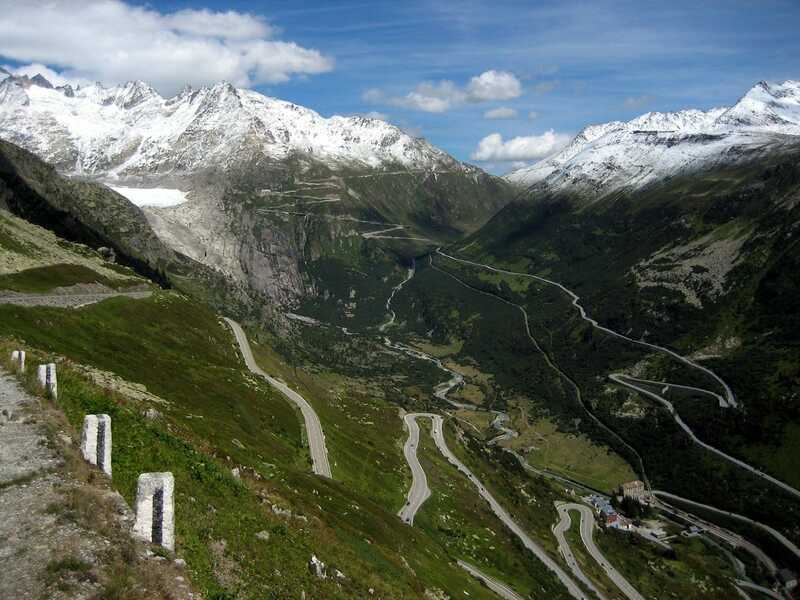 When driving this route laced with dramatic scenery, the most scenic vista that I encountered is The Furka Pass. It’s a 7992 ft high mountain pass. A car scene from the James Bond film, Goldfinger, was filmed at The Furka Pass with a Rolls-Royce Phantom, Aston and Mustang. Along the drive, take time to stop and visit pretty cow pastures and listen to the Swiss cowbells chiming in the Alpine breeze. One country I can highly recommend is Switzerland. As much as it's great traveling by train through their system, in summer tourists are missing hidden gems, like driving through the many passes that go into another canton and seeing the beauty that Switzerland is known for. One can get a chance to see, feel, and smell the mountain fresh air and hear the sounds that are around. WIth train traveling you are missing out on the views from the top of a mountain peak which can only be done if you drive and stop to walk to the top of a mountain peak to feel like you are on top of the world. I know as I experienced this when I was 14. I am part Swiss and lived in Switzerland. Where I lived was a place called Airolo. In summer when the pass is open you can travel by road to a place called San Gottardo where you can walk around and even visit a couple of museums. Traveling by car you can stop where you want to enjoy the local cultural and experiences there. Switzerland is a country with many different cultural lifestyles due to the four official languages which have an influence for that particular area. One minute in the car you could be hearing Italian being spoken and having that Italian feel than you drive into another canton where it's German all of a sudden. Sometimes you can get a mixture of two languages in one place like San Gottardo as that pass crosses between a German and Italian canton. Train traveling you only see what is there and it goes by real fast, missing out on being able to stop and see when you want to. Switzerland is one country worth driving through. I think that two of the best countries to see by road trip are Iceland & Scotland. They both have truly spectacular nature, and having a car allows you to get off the beaten track and see amazing viewpoints, go for hikes and hidden natural beauty. Plus, as public transport is limited, having a car is really the only way to be able to explore the countries properly. Scotland - the road round the Inverness Lake is breathtaking, picturesque call it what you like but the quality of the roads and scenery is next to none. The UK is the perfect European destination for a road trip for so many reasons. It's a relatively small country so you can cover quite a lot of ground no matter how long or short your holiday is to the country. There is also a huge variety of things to see and places to visit, and exploring the UK by car gives you the flexibility to enjoy the wonderful coast line and all it’s natural beauty, the quaint historic villages and bustling cities you can experience here. Seeing the UK by car is the best option for losing yourself in the beautiful country landscapes and diverse cultural experiences you will find here. 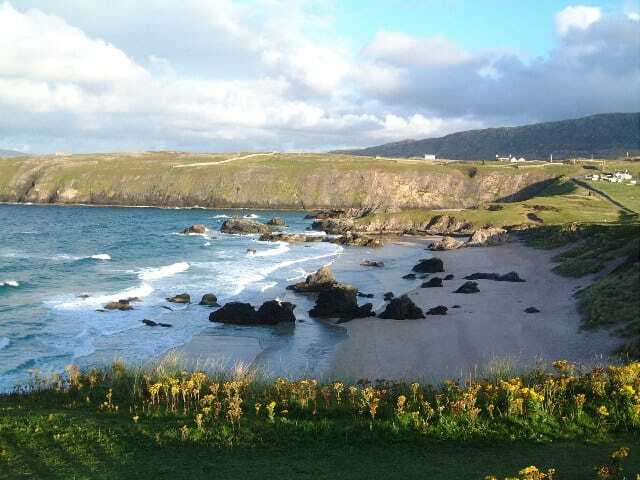 If you really want to get to know what life is like the UK, making a road trip that includes places like Cornwall, Devon, Swansea Bay in Wales and glorious Scotland will ensure you return home with a wealth of travel memories and stunning photos of your trip. With its dramatic ocean drives, picture perfect castles, and haunting ruins, Ireland is best seen by renting a car. The rail system is good, but only connects larger cities, so anything beyond those points you must rent a car, hire a driver, or hop on a tour to see. Public buses, while they do go everywhere, stop often and can take hours to get from point A to point B. Large group tours just can't travel many of Ireland's smaller roads; they also tend to pack in the highlights of a country and often bypass many other fabulous sites. By renting a car and driving in Ireland you can follow the road less traveled, get off the tourist trail, and create your own, perfect Ireland vacation. One of my favorite places to explore in a road trip is Western Ireland. Driving there is such a treat - not only do you learn how to drive on the opposite side of the road (if you are not UK based), but the stunning green of the rollings hills makes every moment scenic. You often feel like you’ve travelled back in time as your cruise along the one lane highways, where you are occasionally stopped by a flock of sheep passing through. 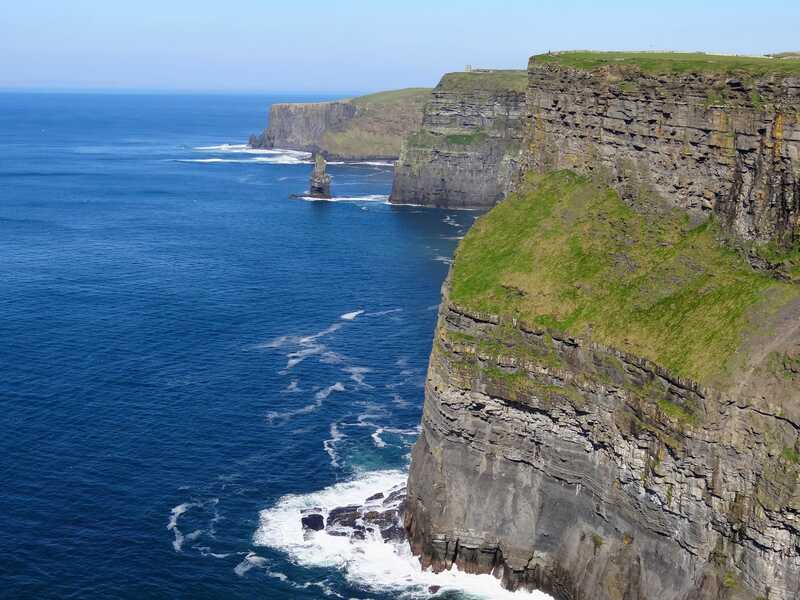 While you can happily spend all of your time in the car, there are so many stunning places of natural beauty (such as the Cliffs of Moher) as well as those created by man (such as Kylemore Abbey) to see that can only be accessed by car. 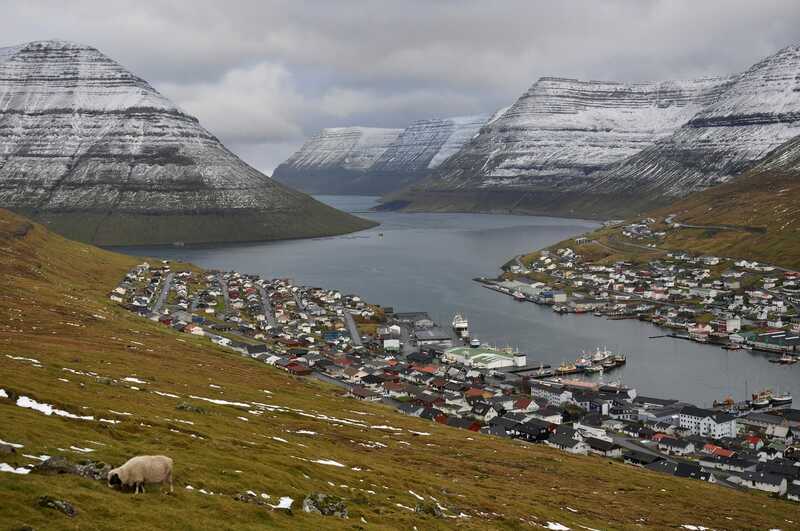 I highly, highly recommend the Faroe Islands as a road trip destination. I went last year and am still enamored by the scenery. You can stop and take photos of waterfalls, cliffs, animals, etc. Just incredible! I am heading back this August to do it again! “If you grab a map in the Faroe Islands, you’ll notice little flowers dotting the map along certain roads. These are called “Buttercup Routes” and will guarantee spectacular views and scenery. I had done no planning for my Faroes trip before I actually arrived in the Islands and I was glad I hadn’t as I didn’t know these routes existed. The map basically planned it all out for us. Here is an excerpt about one of my favorite stops along the Ring Road: “Many travellers on an Iceland Ring Road itinerary will skip the South West Peninsula as they leave Reykjavik, however, it’s definitely worth making a detour in the morning and exploring the less visited sites south of Reykjavik. “Our first stop was Kleifarvatn Lake, the largest lake in the area and we were shocked by the lack of other travellers in this part of Iceland. The lake is incredibly beautiful and we made a mental note to camp here when we return to Iceland with a camper van! We then proceeded to explore the geothermal area of Krýsuvík in the Reykjanes Peninsula, where there a number of wooden paths you can walk through to see and breathe in the sulphuric boiling waters! “Unfortunately, the thermal pools in Krýsuvík are slightly too hot to bathe in so we suggest driving towards Reykjadalur Hot Springs and taking the one hour hike to the natural hot springs whose temperature is perfect for bathing! If you don’t feel like hiking, then head straight to Hella where we based ourselves for a couple of nights and visit one of the local swimming pools instead. Iceland is great to road trip through because you'll want to pull over every 5 minutes to take photos - seriously. 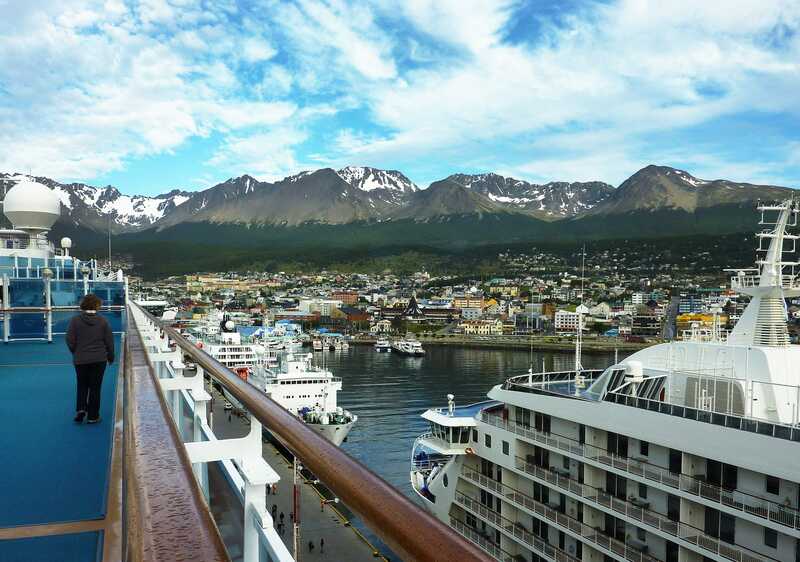 It's hard to think of a more photogenic place in the world. The Ring Road is easy to navigate, takes about a week, and is perfect for camper vans! Namibia would be at the top of the list. Desert, ocean, game parks can only be seen by road. It’s an easy country to drive in with excellent roads, great signage and amenities. 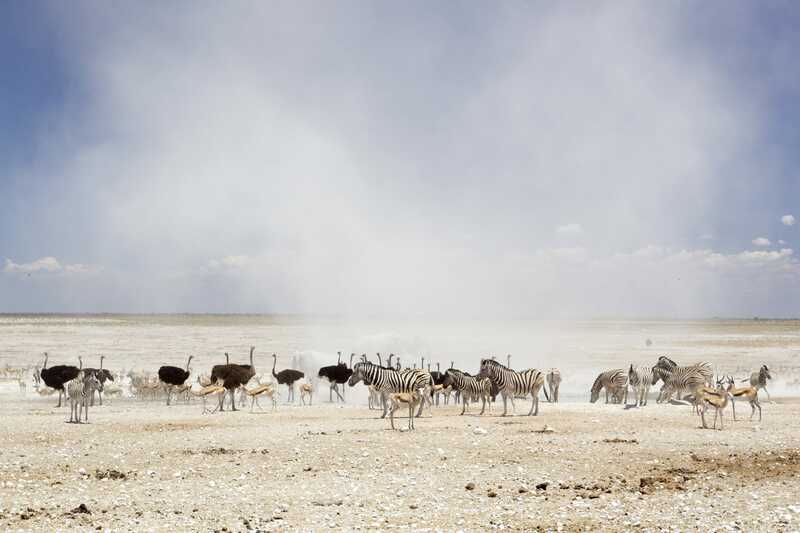 An excerpt from our travel blog: “Namibia, in southern Africa with its coast of giant ancient sand dunes descending into the Atlantic Ocean is a spectacular destination to get away to. “This vast and sparsely populated country with less than 3 million inhabitants is a paradise for voyagers, photographers, and adventurers seeking comfort and quiet, with wide open horizons and spectacularly clear starry skies. “It is a country with the world’s oldest desert, the Namib, and its unique ecosystems, diverse wild life; The Fish River Canyon- the second largest in the world, cuts through the southern part of the country. Travel on multi-day hikes with professional guides and mule caravans. “Stay at excellent hotels that give you an experience of comfort and solitude that few places can offer. “A relatively easy country to travel within, with good roads, your options include renting a vehicle and doing a self-drive or joining one of our group departures which is convenient and great value for the money. Maybe you only think about safaris and wine tastings when you think about South Africa. However did you know that South Africa has an excellent road network, you can pay by credit card at almost each petrol station and the people are super helpful? American clients told me that the roads in South Africa were often better than the roads around New York! South Africa is a large country, about 5x the size of the UK. It is divided in 9 provinces and each province is totally different with regards to landscape, weather and people. 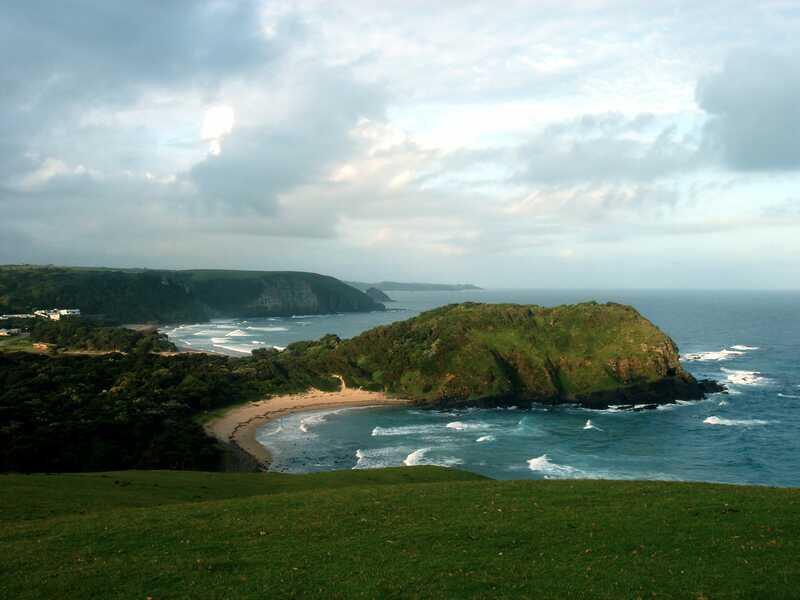 If you do have the time to see more than Cape Town and the Kruger National Park, we recommend a 3 or 4 week road trip to include places like the Wild Coast, Drakensberg, Lesotho, Blyde River Canyon and Swaziland. South Africa is a country you visit to see and experience nature and not so much to visit cities so even if you fly in, you will still need to drive somewhere to get to a national park. International car rental companies have offices all over the country. There's really no excuse to not take a road trip in South Africa. I'm a travel blogger who has road tripped all around the world and two stick out as being amazing countries to drive through - South Africa and Iceland. South Africa because it's the most convenient option; plus, it's pretty cheap at around $25/day. I loved that I could drive to the more remote areas that buses don't service. I would definitely have to say that New Zealand is one of the best countries to see by road trip. Being a fairly small country, with all types of different scenery, it is very easy to get around. Freedom campers (no campgrounds) are permitted in most places and it is very easy to find a vehicle that has been converted into a campground. Also, there is relatively low crime, so hitchhiking is also a popular way to travel. Domestic air travel is fairly expensive for the distances travelled and there are only a few large cities to fly into. Most of the beautiful scenery is in between these cities. There is also very limited train travel. If someone doesn't venture onto the road, then they will miss most of the countries beauty and scenic drives. I have met a lot of tourists who come visit only for a couple of weeks, rent a campervan, and then are able to see so much more than if they just flew to one city. It's a whole lot cheaper too. I believe New Zealand is an amazing country to see on the road. It offers so many secret places and gorgeous landscapes that can only be accessed by car (unless you're sailing there). 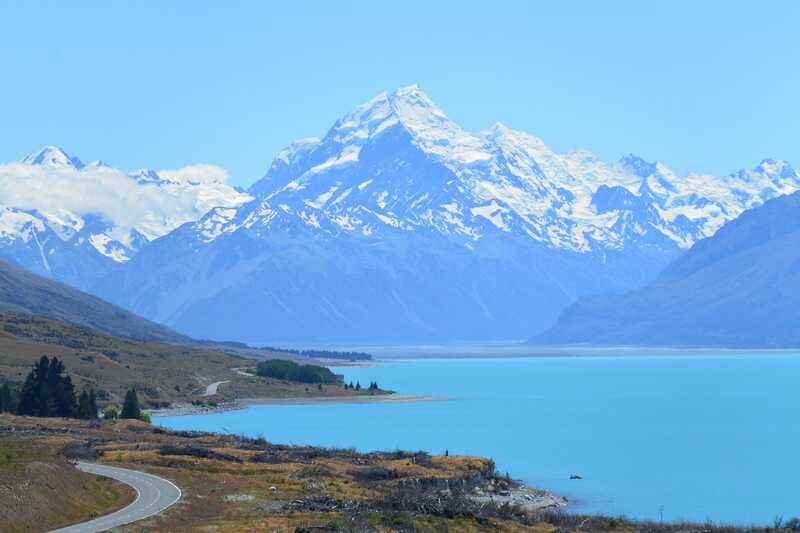 Milford Sound, Fiordland National Park, Akaroa, Kahurangi National Park, Tauranga, Lake Taupo, the vineyards of Marlborough and all the amazing locations you've seen in The Lord of The Rings and Hobbit movies really deserve a road trip. If you drive around New Zealand, you'll be able to see places that are still unspoiled by tourism. These beautiful locations will make you feel like you're on another planet, with a fauna and flora that you've never seen before. I also think that New Zealand is a country that's best explored by car or van. The country has a decent network of buses and trains, and also some cheap flights, but you'll never see the amazing scenery up-close if you don't have your own set of wheels. It's really popular in New Zealand to rent a campervan and to camp across New Zealand - there are great holiday parks to help make this affordable, and it's one of the best ways to see corners of the country you might miss if you're only traveling by bus or on an organized tour. I live in Australia, which is a great place to go on a road trip. There are some similarities with the United States as they're both big and geographically diverse country. Problem is, it takes a long time to get around! Obviously, it's a lot quicker to travel via plane, but a road trip gives you an appreciation of the scale of distance, and you can see the landscape literally change before your eyes. Many travellers to the east coast of Australia - from Cairns in the tropical north to Melbourne in the temperate south. Lots of places to see, National Parks etc. 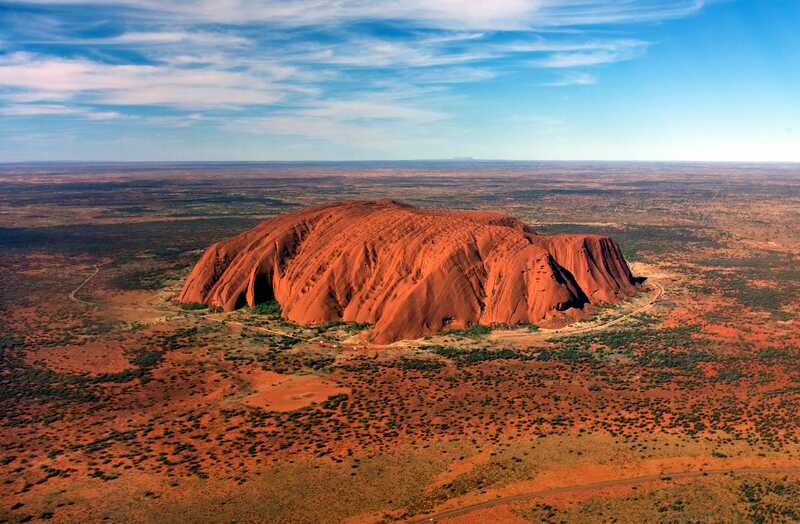 Plus if you go outback, you'll see lots of 'impressive nothing'! Last year we drove from Goa (Indian West Coast) to the Himalayas. 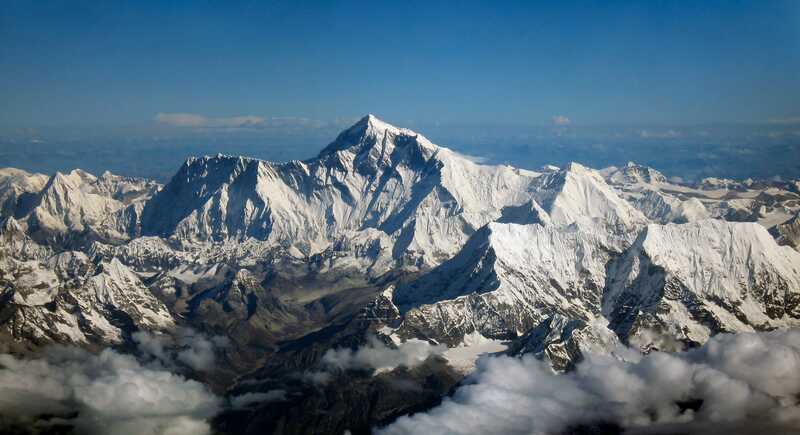 We took about 5 days and we spend about 3 weeks driving around in the Himalayan near the Tibetan border. It was quite an adventure, not only because the landscape is breathtakingly beautiful. We didn't expect to be so well welcomed by the locals. People opened their homes and hearts and invited us to stay in their humble abodes. The terrain is difficult at times but the landscapes changes from rough, arid and rocky to green and crisp.You can only reach those parts if you go by car, there are no train rails, which would be impossible anyway. What made it road trip safe is the fact that some roads have been newly built and the Indian army is always present which gives you a feeling of reassurance. Locals and whoever you meet along the road are always helpful. We felt more safe than anywhere else in the world at some points. In fact, we met a lot of people from around the world, men and women alike, such as Israelis, Austrians, Germans, Spanish and Canadians who hitchhiked all the way across the Himalayas! Yet, I do have to confess, these parts are very dangerous because of landslides and natural weather conditions. But one can easily hire a very experienced and trustworthy driver and that is what most people do when they want to experience a road trip in the Himalayan highlands. If you don't do this road trip, you miss out a lot because the landscape, the people and their culture and food leaves a footprint and a memory you will never forget. It will define you as a human. Generally speaking, India has been building highways in record speed over the past 5 years. Some of the highways are better than the ones we see in Germany or Austria! Safety is rarely an issue. I would never feel less safe as a girl in India compared to say Germany. In fact, I consider France less safe than India in many ways. Mongolia is an amazing country for road trips. My week in the Gobi Desert in a vintage Soviet van was one of the best weeks of my life. There's so much to see in nature and culture. 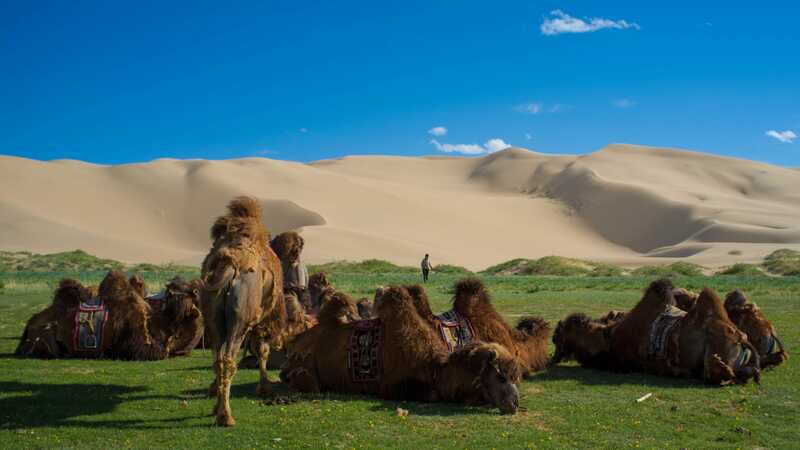 For nature, the Gobi has canyons, painted hills, and high singing sand dunes. For culture, you can visit small villages and stay with farmers in their yurts - milk a camel or herd some goats. Make sure you have a GPS as there are no directional signs or mile markers. 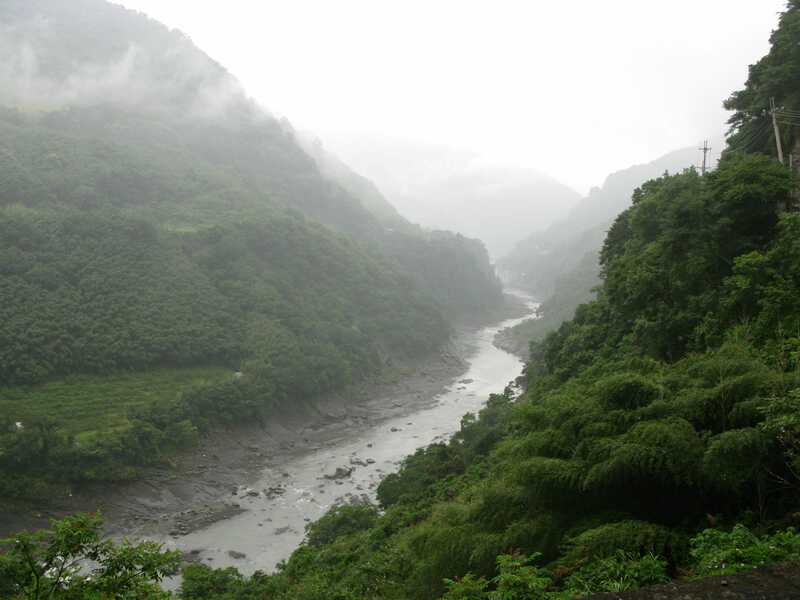 Have you ever thought of heading to Taiwan for a road trip? Well, we hadn’t until we did it! We are two travel bloggers from Germany who drove around Taiwan for 9 days and experienced untouched nature, the rough coastal shore and hidden beaches in a country that we actually never really had on the radar. Driving around Taiwan gives you the freedom to simply stop at a little food stall you are noticing from the car or to visit a temple off the beaten tourist path. It also takes you away from the areas, where package holidaymakers stay and pushes you right into areas where neither a train nor a plane can take you. Or would you rather miss out on curvy serpentine roads that take you through the coffee area of Taiwan? Taiwan is known as the Ilha Formasa, the beautiful island, and is full of caves, beaches, forests and cities that need to be explored! In particular, we think Chile is absolutely brilliant for road trips - the roads are good, outside of the major cities traffic is never a problem, and it means you get a chance to see some of the most spectacular scenery in the world which nevertheless is still off the major tourist routes. In particular the Carretera Austral (the 'major' highway linking central Chile to the south - in practice it's one lane for much of its nearly 800 miles) gets very few foreign visitors as most tour companies miss it out in favor of more famous areas further south. By driving you not only get to see things like the 'hanging' Ventisquero glacier and the stunning lakes and mountains of the Hornopiren National Park, but you can have them almost entirely to yourselves! I'm a full-time travel blogger and just finished road tripping from Seattle to Ushuaia, Argentina -- driving the full length of Latin America. I'd have to say that two of the best countries within that trip were the United States (of course) and Chile. Chile is a great place to see by car because it is long and narrow, you can travel from mountains to see in a day and then drive south through the Patagonia region which is spectacular. The roads are in good shape and it feels a lot like driving in the US so it isn't as intimidating as driving in a chaotic place like Peru. I thought you would be interested in the self-drive Overland Jeep Safaris in Patagonia, across Chile and Argentina. Offered by Quasar Expeditions, this road trip experience is an ideal choice for adventure-loving travelers as this tour is completely independent of a tour leader, where guests pilot their own Jeep® and rely on the state of the art navigation systems in their vehicle, allowing them to stop and go as they please. 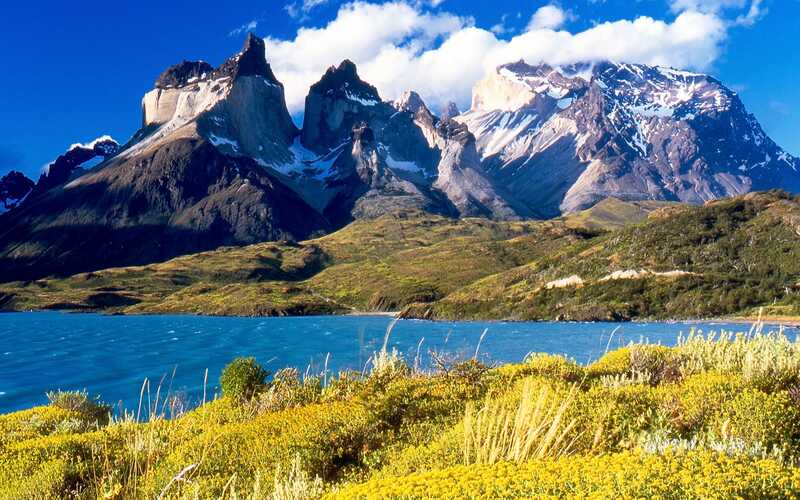 In addition to hitting the road, explorers can take in the beauty of Patagonia with an action-packed hiking or kayaking tour and access top highlights in both the Torres del Paine National Park in Chile and Los Glaciares National Park in Argentina. Guests can expect to see an abundance of wildlife on this trip including hare, armadillos, foxes, pumas, and deer as they drive on the open roads (something that would be missed if they used a different form of transportation). Plus, travelers will stay at some of the top hotels and lodges in all of South America, allowing them to experience the best of both worlds. There are many reasons to consider a road trip, one of which is the fact that the air system is not so developed so there are no planes flying everywhere, all the time. But besides that, Argentina hides beautiful pearls along their roads and the trip wouldn't be complete without a stop to admire the beautiful and unique landscape. It is not commonly known, but Ecuador has the best road systems in all of Latin America. The previous government invested heavily in infrastructure adding 4 lane roads, building and upgrading existing 2 way roads, while the entire country has new daily serviced provincial capital airports, the bigger of which have car-rental services. The country is ideal for road travel given its relatively short distances compared to all other countries in South America, which are much larger and have much worse roads. 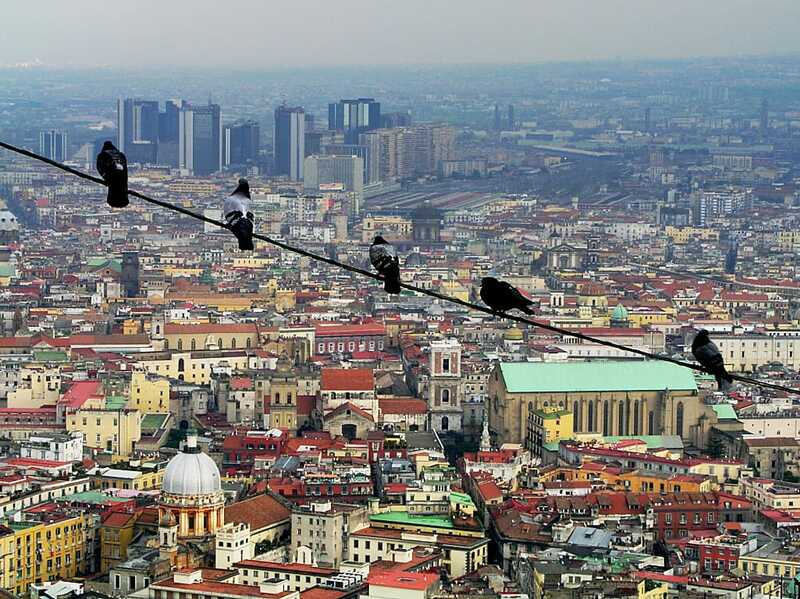 Even the largest distances can be traveled in 1 day if necessary, but en route there will be many great sites to visit. Hotels don’t require reservation prior to arrival. There are many great attractions to see when traveling in Ecuador. 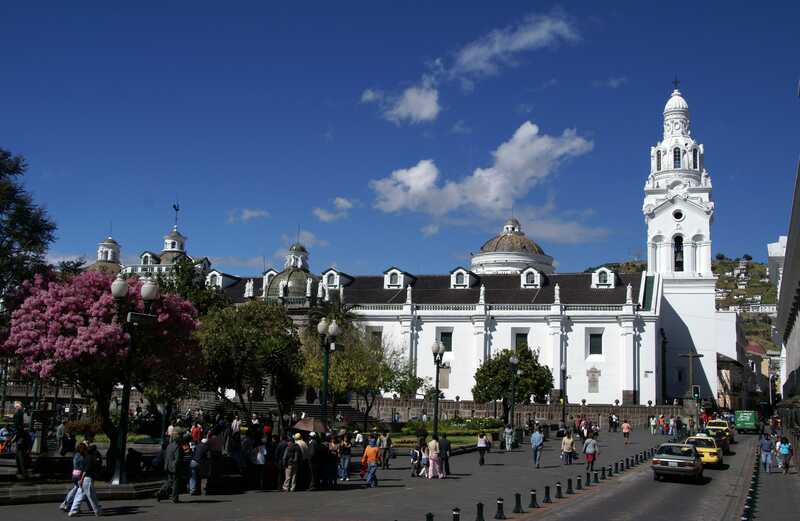 It has a fabulous national parks system, the greatest colonial towns in South America (Quito and Cuenta), a great Inca site, some of the best museums in South America and of course, for those who like that, plenty of beaches. This program can be perfectly done as a private road trip with car rentals, preferably rented in Quito and/or Guayaquil. It is even possible to drive to the Amazon parks if so desired. Being the second largest country in the world, Canada is full of fantastic places to see and memorable places to visit. To discover the beauty of Canada, covering the many miles is best done behind the wheel of a vehicle, be that rented or owned. Many car parks around Canada allow you to sleep in your car, making it easier and cheaper to travel for multiple days. Whether a Walmart parking lot, or a rest stop along the highway, it’s important to be able to sleep when you’re tired from long hours on the road! Sure, public transport does exist in certain areas of this wonderful country, but if you want to explore more remote areas, and have freedom while travelling, you can’t beat the flexibility of your own wheels. 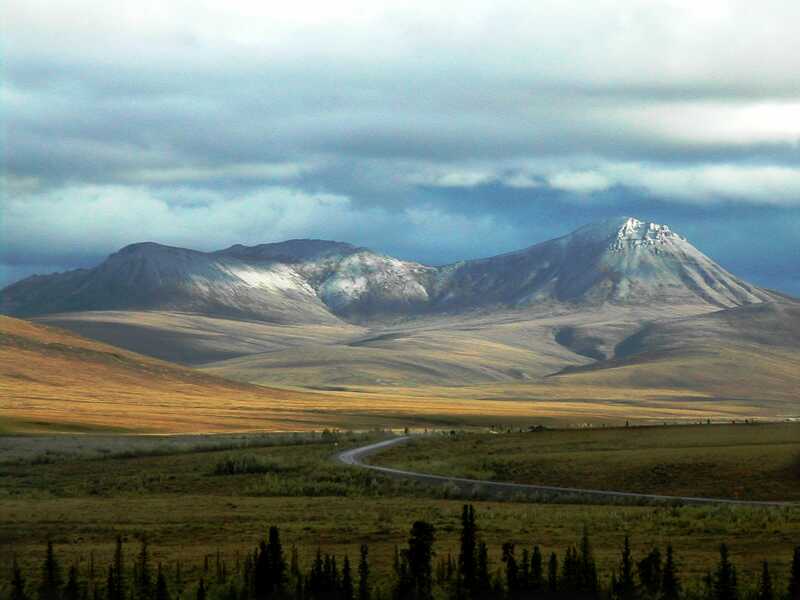 Driving to the Arctic Circle, along the Dempster Highway is a place missed by most travellers as accessing it is difficult (without your own vehicle!). Canada’s lesser known attractions are everywhere. 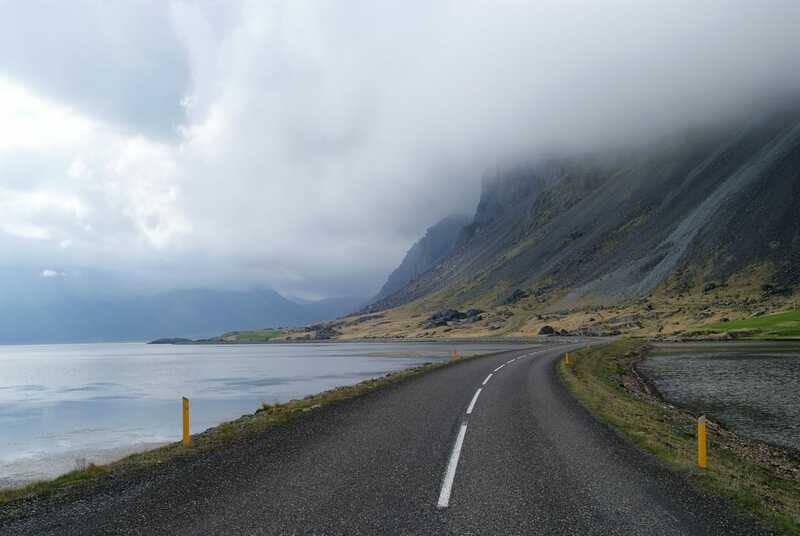 If you want to immerse yourself in this beautiful country, there is no better way than by driving it yourself! I'm a firm believer that the only way to fully explore the USA is by road trip. Yes, we have planes and trains and buses... but you simply can't dig into America unless you hit the road. You miss out on the small towns, the mom 'n pop diners, and the quirky roadside attractions when you just fly between big cities. Plus, most of our country's best national parks are really only accessible when you drive! 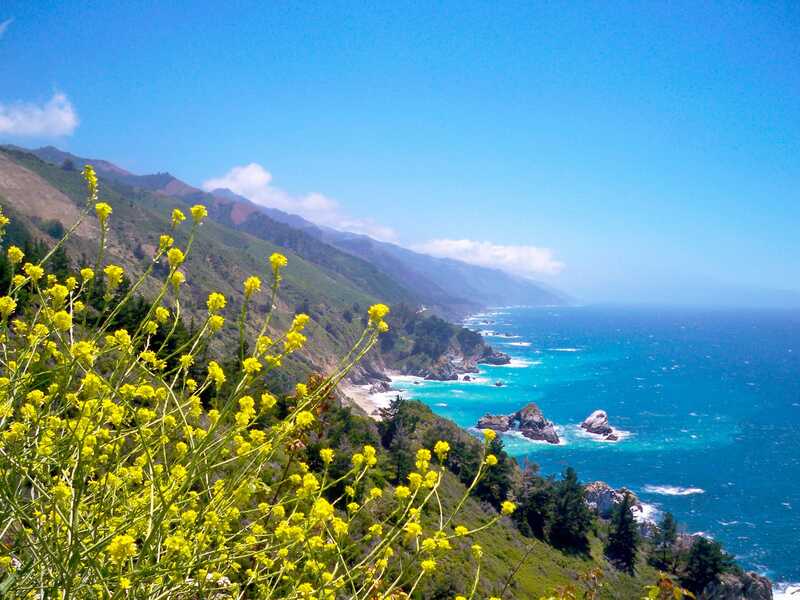 I would say my favourite US road trip is the Los Angeles to Monterey road trip along the coastline - Big Sur. It's pretty stunning, and from an outsider's point of view, it takes a while to do because there's so many photographic moments to capture. Though it’s easy in America to jump in your car and take to our vast interstate highway system on a moment’s notice, taking a road trip in another country requires a bit more planning. But if you take the time and preparation necessary for planning a road trip in a foreign country, the experience and the memories will be well worth the effort.